Part of being a dentist is staying on top of the latest technical advances. That’s why we’re excited to tell our patients about the benefits of modern laser dentistry. It’s now possible to offer gentler, more effective treatments for problems such as gum disease and tooth decay. Let’s look at five ways laser therapy is transforming the way dentistry gets done in the 21st century. Can I Replace Multiple Teeth with Dental Implants? Are you researching options to replace your missing teeth? While you may have heard about dental implants before, did you know that they can be used to replace multiple teeth? 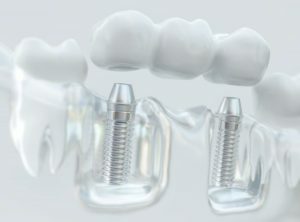 This replacement option is typically more expensive than others, but dental implants can bring you a unique set of benefits that you simply can’t get with other replacements. Keep reading to learn how dental implants can be used to restore smiles with multiple gaps back to their full beauty and function. Comments Off on Can I Replace Multiple Teeth with Dental Implants? 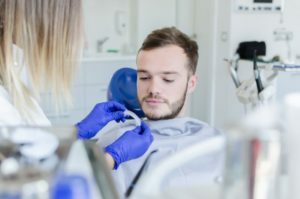 How an In-House Membership Plan from a Dentist Can Help You! 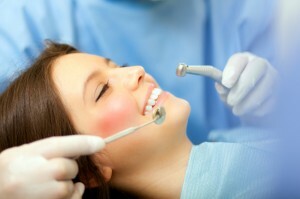 It’s a surprise that for some individuals, dental insurance can be an expensive burden. 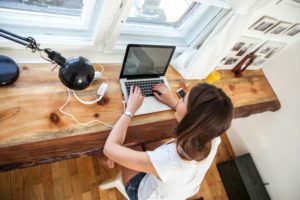 While it may work for some people, others may not see the benefit of using a plan that just doesn’t seem to meet their needs at an affordable rate. Luckily, there are other ways you can get the care you need without breaking the bank, nor worrying about unpredictable costs. An in-house dental membership plan can help remove the doubt of affordable dental care. Continue reading to learn more about the plan and why you should consider it! Comments Off on How an In-House Membership Plan from a Dentist Can Help You! 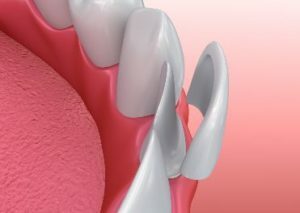 Dental implants are a complex procedure overall. 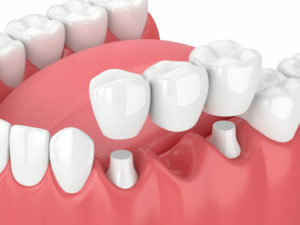 They require a dentist specifically trained to place them and highly-trained cosmetic dentists to create restorations that not only look good but align with your bite. 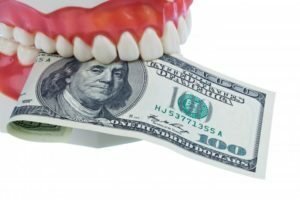 Since every patient is unique, it’s hard to provide an exact cost without first scheduling a consultation with the dentist. Before you have your consultation, it’s worth knowing how the cost of dental implants can fluctuate dramatically depending on several different factors. To learn what those factors are, keep reading this post from a dentist who’s restored many implants! Your teeth are among your most valuable possessions. That’s why your dentist goes to such great lengths to keep them in good shape. One of the best ways to prevent damage to a tooth is to protect it with a crown. Crowns are strong, comfortable and practical. 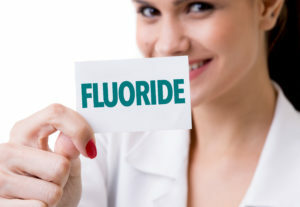 What Is Fluoride and Why Would a Family Dentist Recommend It? They say an ounce of prevention is worth a pound of cure, which is certainly true when it comes to your oral health! Everyone can agree that spending time and money getting fillings, crowns and root canals is best avoided. But what’s the easiest way to do that? Of course, brushing, flossing and getting regular dental checkups is a great place to start. But there’s one more simple, inexpensive thing you can do that will dramatically reduce the number of cavities you get: Use fluoride at home or have it applied by a family dentist. In this blog, you’ll learn about what fluoride is, the best way to use it – and why it’s such a game-changer for your smile! Comments Off on What Is Fluoride and Why Would a Family Dentist Recommend It? What Can Porcelain Veneers Do For You – And Do They Work For Everyone? According to the American Dental Association, people consider someone’s smile their most important feature – even more so than their hair, eyes and body. It’s no wonder that everyone wants a beautiful smile! If you can count yourself in that category, you probably want to correct some of your cosmetic flaws so you can enjoy all the benefits that a beautiful smile has to offer. While there’s no question that porcelain veneers are a wonderful way to do that, what kinds of imperfections are they good for – and is everyone a candidate? Keep reading to find out! Comments Off on What Can Porcelain Veneers Do For You – And Do They Work For Everyone? What’s the Process for Getting Dental Implants in Farmington? What’s the first thought that comes to mind when you think about dental implants? 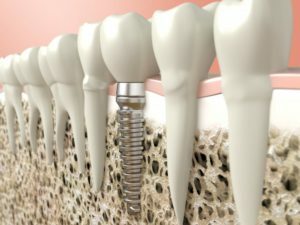 Most patients find it difficult to imagine dental implants after first hearing about them because they don’t understand the “implant” aspect of treatment. They ask many questions about the implant itself and what the treatment entails, making them apprehensive. Luckily, your dentist is prepared to walk patients through the process of dental implants in Farmington. Once you know what to expect, you’ll be far more confident to replace your teeth and restore your mouth’s many functions again. Comments Off on What’s the Process for Getting Dental Implants in Farmington?